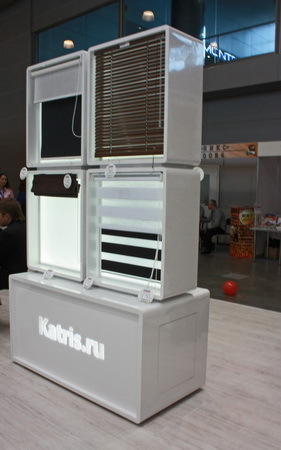 Trade equipment for demonstration of sun-protection systems and eaves. 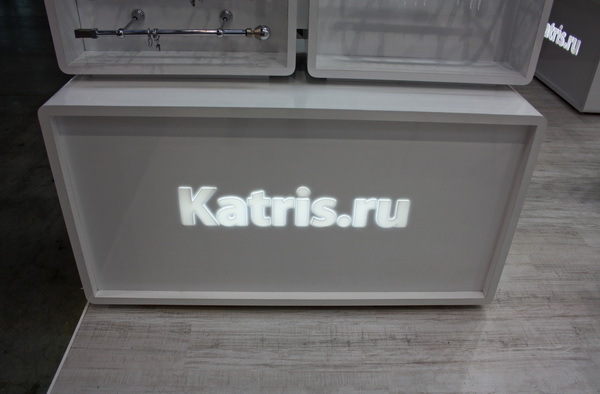 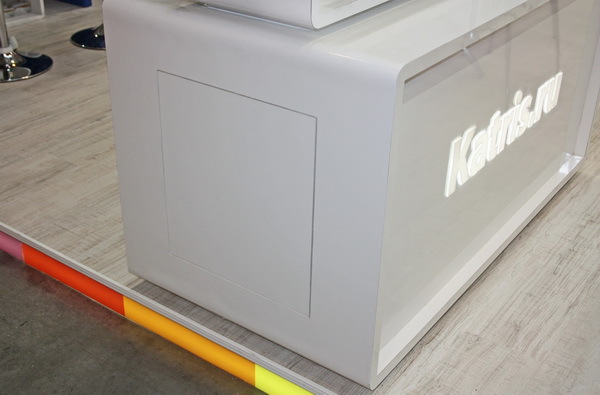 Facing of racks is executed - white glossy hpl (high pressure laminates), built-in light a box behind curtains and blinds, imitate a daylight, a light logo - volume, is made of plexiglas (laser cutting). 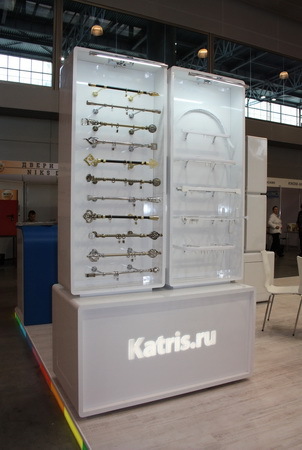 In the lower part of racks there is a compartment for storage of materials, the compartment is closed by a door.